Every now and again My blog stats hit a new all time best. This past December I hit 100o views and soon after I hit 2000. 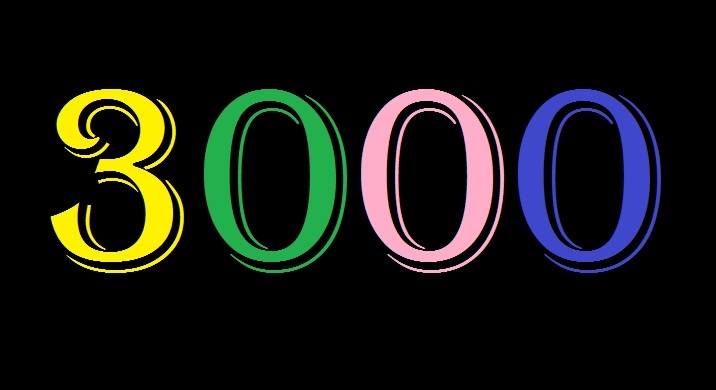 With my stats now at an even rate per month I have decided it is time to try and reach a new milestone, this new milestone if you haven’t guessed from the title (or picture) is 3000 views this month. Who knows, the blog may get even more than 3000. So please come back this month for more interesting posts and help me to achieve this big goal.